In the game you picked among a group of G.I. Joe characters, each with their own strength and weaknesses, and marched through roughly eight levels of action in a quest to finally bring down Cobra Commander and his ruthless terrorist organization. 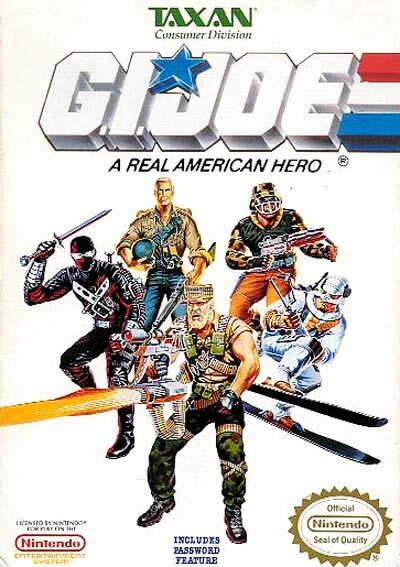 The characters included Duke, Snake Eyes, Blizzard, Captain Grid Iron, and Rock and Roll. General Hawk would make himself available during the game's last levels. You collected icons in the game that increased your character's energy and weapons. Ammo icons were also available. Certain levels also had vehicles that you could ride in. The format of each level was broken up into three different stages. In the first stage, you had to fight your way into a Cobra base. In the second stage, you had to plant a series of bombs. The third stage of each level was always a duel with the base's leader. The enemies and bosses from the video game were familiar to fans of the franchise.